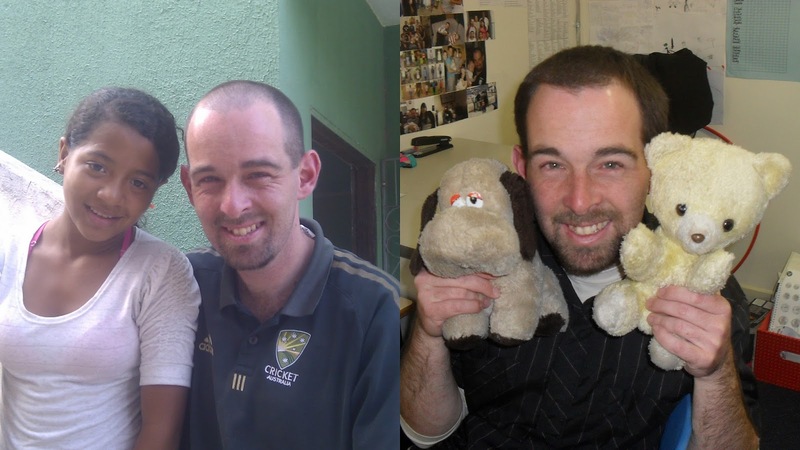 SupernintendoChalmers: David and Brazil - A "God Story"
In just three weeks I will be heading off on another Compassion adventure. I am certainly looking forward to meeting Laura in Colombia and Cristina in Peru for the first time, and I can’t wait to see Jacqueline in Ecuador again. But the “Big One” is Brazil. I cannot fathom the way God has put Brazil at the forefront of my heart and mind over the last two and a half years. It is truly amazing. And now I am going back. 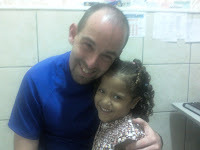 - Matt Roper leaving England on a mission to the street girls of Belo Horizonte, and forming the organisation Meninadanca. - Missionary Hosana Brito teaming up with Compassion to fight against the darkness of the suburb of Farol. - Angela and Nabi Saleh (founders of Gloria Jeans coffee) having a party for their 250 sponsored children. I wanted to share the “Brazil Story” that God has put into action and the way He has used it to bless me (and others). I have written about the trip in previous posts, so click on September 2012 to the right if you want to read in more detail. 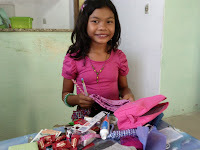 After grasping that this was the reality for this child and her family, God moved my heart, and I sponsored six more children from Brazil, all from the same Project, also in Fortaleza. 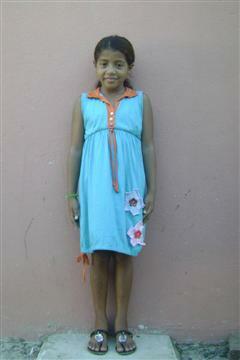 Upon returning home and investigating further, I have discovered it was in fact your little sponsor girl Cristina! I attach some photos of beautiful Ana Cristina and her project and hope that you enjoy! It was such an amazing experience to visit her project (BR458). In fact, it was one of the highlights of our four week holiday! The community that Cristina, Rocy and Jessica live in is fairly horrific. Raw sewage runs through the streets, there is no electricity and worse, houses are small and fairly ramshackle and worse, there are a lot of people that have no hope. Drugs are a huge problem in fact, one of the boys in the project has recently lost his father in a drug debt related murder. At the start of 2012 I organised a trip for late September to visit my nine sponsored kids in Brazil. I had three kids at BR-458, and six at BR-110. During the year, two of the kids from BR-110 left the Compassion program for different reasons, so I arranged to sponsor three more from a different Project (BR-329), in the knowledge that I would visit them in a couple of months time. This was definitely a “God-thing”. The plan for the trip was to spend a few days visiting homes and Projects, and then on my birthday I wanted to treat them all to a special day at some sort of Park. As time went on, I became convinced that I should invite all the caregivers and siblings as well (close to 50 people), however much it cost me, because I was sure God was going to do something magnificent in all our lives on this day. The trip finally came around (I will never plan a trip nine months in advance ever again!) and BR-458 was the first stop. I felt like I knew the place because Hayley, the Compassion employee who had visited that Project previously, sent me videos and photos. We had an enjoyable day, singing, playing games and learning about Australian Football (they loved the crazy red egg-shaped ball). While Christian warmed up, Cristina and Jessica were very shy all day, and I didn’t get much out of them. I was able to visit Christian and Jessica’s home and meet their families, but not Ana Cristina’s, as she lives in a different town. The Compassion staff took me aside and explained a bit more about Ana Cristina’s home situation, which involved drugs, violence and revenge killings. My heart broke for this 12 year-old girl caught up in the kind of life most of us only see on TV. On this day I was also able to pass on some gifts on behalf of an Australian sponsor named Jennifer to her child Erica, as well as take some pics and video. This was extra special since I had been on the receiving end of this generosity the previous year with Hayley visiting the Project. The next day I visited BR-110, where I sponsor four girls: Pamella, Alice, Ana Alice and Taina (left the Compassion program in 2013). It was a Friday, so there were no Project activities on, as Friday is their planning day. This didn’t matter one bit. Our first stop was the music room, where there was a formerly sponsored guy named John teaching music to a bunch of kids. I was able to get on the guitar and play the song Forever. The day was spent playing, dancing, learning footy, drawing and painting and visiting two of the four homes. One of the gifts they gave me was a t-shirt with the girls faces on it, but on the caption they had written United States instead of Australia. Whoops! I forgave them pretty quickly. I could NEVER have predicted the impact that the third Project visit would have on my life. The first two days had been amazing, but I had no idea that God had even more incredible stuff in store for me. I had only been sponsoring Larissa, Monalisa and Alynne for four months, and we hadn’t yet exchanged letters. This visit to BR-329 was on a Saturday, and the place was full of teenagers, busy, welcoming and curious. It is an urban Project, and serves about 680 kids with minimal space. We went into the main area, and there, waiting for me was a 15-piece band. This wasn’t just your normal guitar/bass/drum band, but they had flutes, clarinets, trumpets, saxophones and even a tuba!! Something you should know about me is that music is a major part of who I am. I teach it at school and I play drums, bass, guitar, keyboard and I sing. God has “ingrained” music into my soul, and there’s nothing I’d rather be doing than playing drums or bass guitar. A life-highlight for me was being able to get on the drums and play a couple of tunes with the incredibly talented teenagers of BR-329. I wasn’t going to let an opportunity like that pass. I felt like I’d walked into a little piece of heaven among the poverty and danger that existed outside the walls of the Project. I experienced pure and genuine life, joy, hope, peace, music and dancing. The Compassion staff have huge dreams and vision, including a massive two-story building extension, and trust God for everything (I am looking forward to returning and seeing the progress). Their gratitude for my visit, and even my life, was overwhelming and humbling. The faith that I witnessed from the people in this place was like nothing I’ve ever experienced before. It was defiant in the face of their circumstances. It was like the faith that knocked over the walls of Jericho; that enabled a shepherd boy to slay a giant; that Jesus says will “move mountains”. I learned from the people of BR-329 that we cannot limit God. We can trust Him and believe for the seemingly impossible because the God we worship holds the UNIVERSE in His hand. He is a big, mighty, magnificent God. 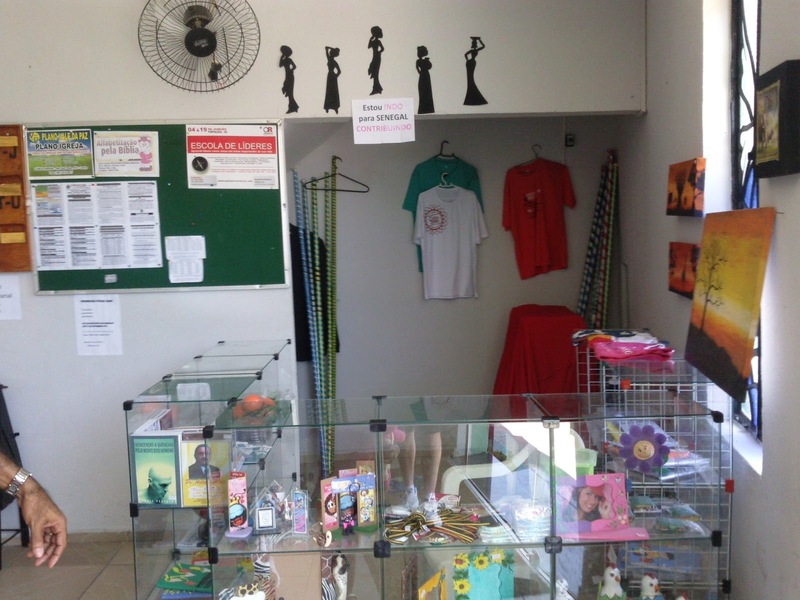 The church, which is connected to the Project have set up a little shop to raise money for a missionary to go to Senegal, in Africa. I LOVE THAT!! With all the poverty in Brazil, these people aren’t wallowing in it and feeling sorry for themselves – they’re looking to other countries where people might not know Jesus, and sending people there – SO GOOD! At this Project I met 4-year-old Larissa. She was very shy, and not even a teddy bear could help her warm to me. I did get a smile out of her – when it was time to go! I also met 17-year-old Alynne, who took me on a tour of the Project and I was able to visit her house. She hopes to be a lawyer. 18 year-old Monalisa was in a wheelchair, having broken her leg three weeks before the visit. She hopes to be a vet. Monalisa and Alynne have now graduated from the Compassion program. One thing I love about Compassion is that it gives the children the freedom to dream about their future, without it being pie-in-the-sky wishful thinking. 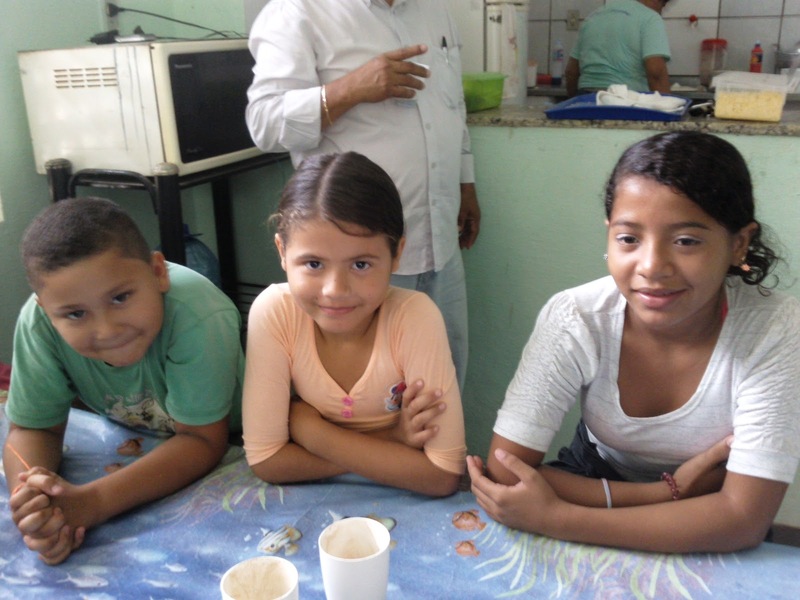 Because of the assistance and training the children receive from the church and Compassion, they have a very good chance of achieving their dreams. The final day of my trip was my birthday. I was joined by all ten of my kids plus about 20 family members (many parents had to work) in a special Park with a pool, soccer field, wildlife sanctuary, horses and playground. It only really struck me afterwards what a significant day this was for everyone, particularly the children. Even though I visited most of their houses, I still didn’t get a full picture of how hard their lives are, so this was a rare opportunity for the kids just to be kids, and splash and laugh and play. I felt humbled and privileged that God allowed me to be the one to provide them with this experience, and though inviting all the family members did cost me a lot, it was something you can’t put a price on. The biggest surprise came when we gathered for afternoon snack. On the way there I heard “Happy Birthday” being played – by live music! My jaw dropped as I saw my new favourite band – the teenagers from BR-329 I met on Saturday! They had brought all their instruments and gear to the Park to surprise me. I was speechless and humbled at the effort they had gone to, to be there. And so, in a few days I will be back doing it all again. Unsurprisingly, my birthday will be spent at BR-329. I look forward to going back and seeing how everyone has grown and changed, and celebrating God’s goodness together. I now only have seven Brazil kids, but I’m also visiting the home and Project of another child on behalf of a fellow Australian sponsor, which will be very special. I have not received a letter from Ana Cristina this year. When organising the trip, I made a special request to visit Ana Cristina’s home. I found out I will be able to do that, so I’m very happy, although with what I know about her family situation, I fear my heart may not be able to bear it. However, I know it’s something I need to do. When we truly love others as God loves us, we cannot hide away from the realities of their lives, regardless of the consequences. I look forward to sharing the details of the trip with you, as God continues to work through Compassion and the local church to see His Kingdom here on earth. What a great post! The way you shared the details, I feel like I was with you in Brazil and with your girls. I also have two girls from the Fortaleza area: BR-417 and BR-454. I've done research about what's it like to live in this area, but reading more about what you have to say about it makes it even more real. Yes, thank you so much for sharing about your trip! It was so neat to see these projects through your eyes. I look forward to hearing about your new trip! We have two girls at BR-417 (as you know) and like Kayla said, this helps bring a bigger picture of the area to my eyes. Hi David, I have just been reading some of your adventures. I just found your blog through the compassion video. I am also a teacher, with a sponsor child in Tanzania. What I have read and seen is seriously challenging me. It's totally crazy - but amazing!! Keep dreaming big.